German Chancellor Angela Merkel’s race to save automaker Opel  and the jobs of its 25,000 employees in Germany  is beginning to look like a high-speed pileup that could cost her at the polls. To get talks with Opel owners General Motors back on track, Merkel is reportedly ready to abandon her previous plan to force GM to sell a controlling stake in its European business to a consortium of Canadian-Austrian car-parts maker Magna International and Russia’s Sberbank. According to the German tabloid Bild, the German government has told GM’s chief negotiator, John Smith, that Berlin will consider GM’s preferred investor, the Belgian industrial group RHJI, as long as it teams up with a partner from the automotive industry. The German government has been negotiating with GM over Opel since March. 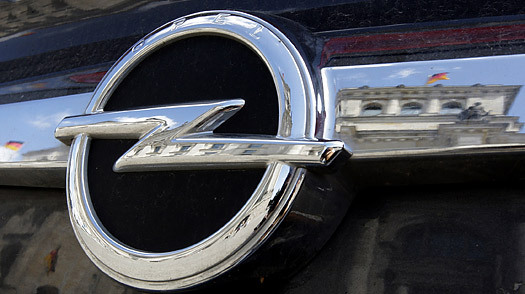 The U.S. automaker wants Germany to provide state guarantees for Opel of up to $6.4 billion. In return, the Germans wanted GM to agree to sell a 55% stake in Opel to the Magna-Sberbank consortium. At first GM seemed to be playing ball. It spun off Opel into a trust to protect the Rüsselsheim-based manufacturer from GM’s Chapter 11 proceedings in the U.S. But in May, talks stalled and Merkel declared the entire GM-Opel mess to be “chefsache,” or a matter for the boss. After lengthy and tense talks, GM negotiators finally seemed to agree to the German plan. Over the past few days, though, everything has come undone again. GM’s management, which now includes U.S. government appointees after Washington’s massive bailout of the Detroit firm, is split. Some on the board want GM to sell its European operations and focus on the U.S. market. And GM cannot use money from U.S. taxpayers to restructure Opel. But GM’s chairman, Ed Whitacre, isn’t convinced that a sale is in the company’s best interests. He still sees GM as a global manufacturer and is determined to retake the No. 1 spot from rival Toyota. To do so, GM needs a European manufacturing base. At the very least, GM wants to avoid creating a new competitor by providing the dowry for a tie-up among Magna, Sberbank and Opel. So on Aug. 21, the GM board rejected Merkel’s plan and sent point man Smith back to Berlin. Merkel has tried, and failed, to get President Barack Obama to intervene. Her rival for the chancellery, Frank-Walter Steinmeier, Foreign Minister in the grand coalition government that joins Merkel’s Christian Democrats and his Social Democrats, called Secretary of State Hillary Clinton, urging her to get involved. But the message from Washington is that it’s up to GM to make its own investment decisions. GM is now exploring other options, including the possibility of raising money from other European sources. According to a report in the Times of London, U.K. business secretary Peter Mandelson is offering GM some $800 million if GM could guarantee the 5,500 jobs at its Vauxhall unit. Last week, Mandelson slammed the Germans for trying to buy protection for their car workers at the expense of GM employees in the U.K., Spain and elsewhere in Europe.